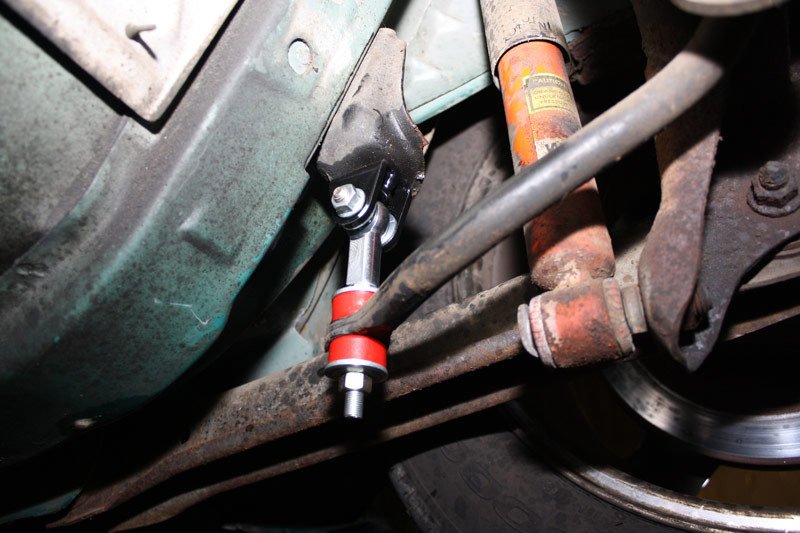 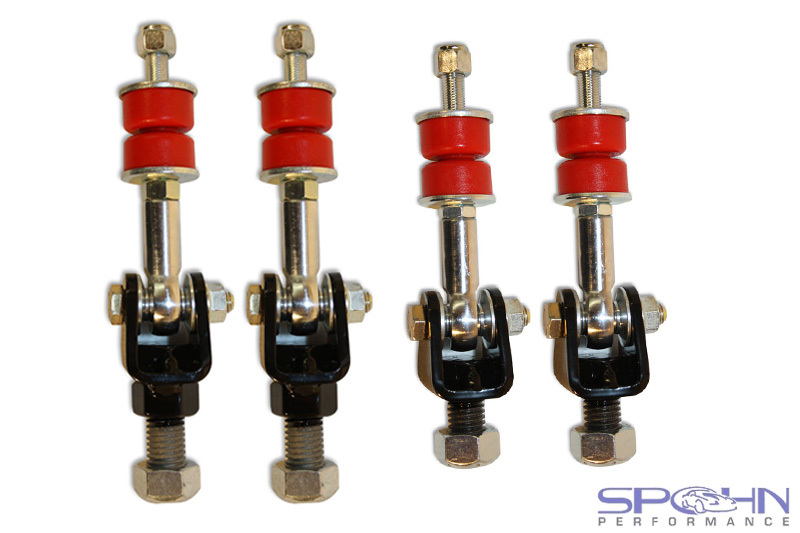 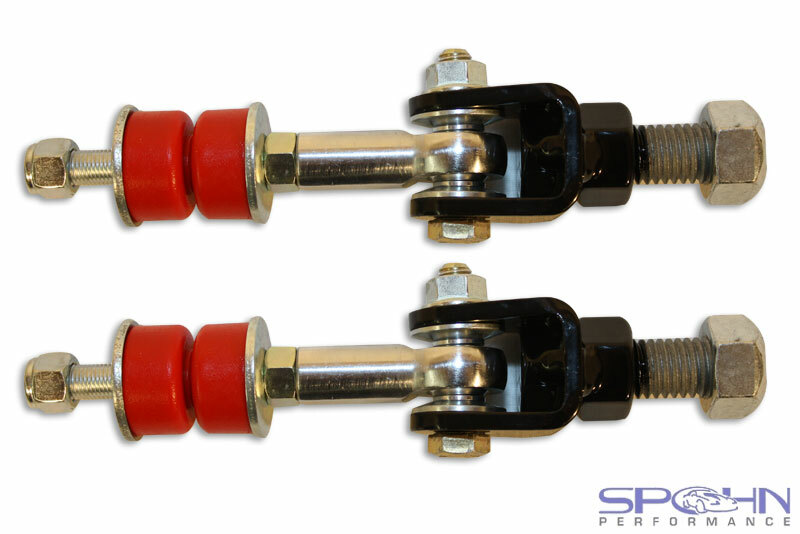 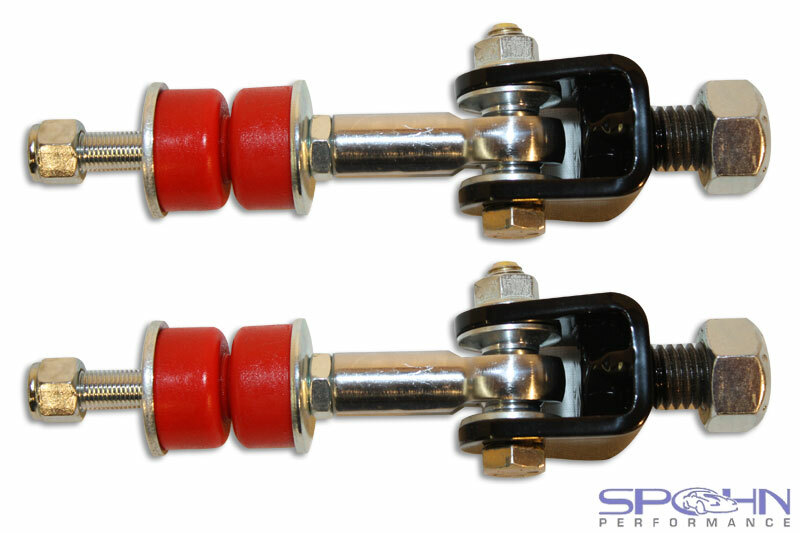 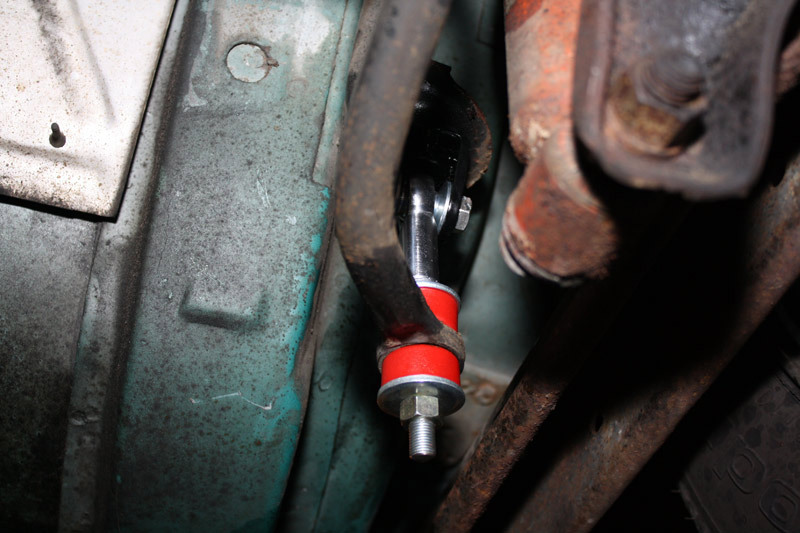 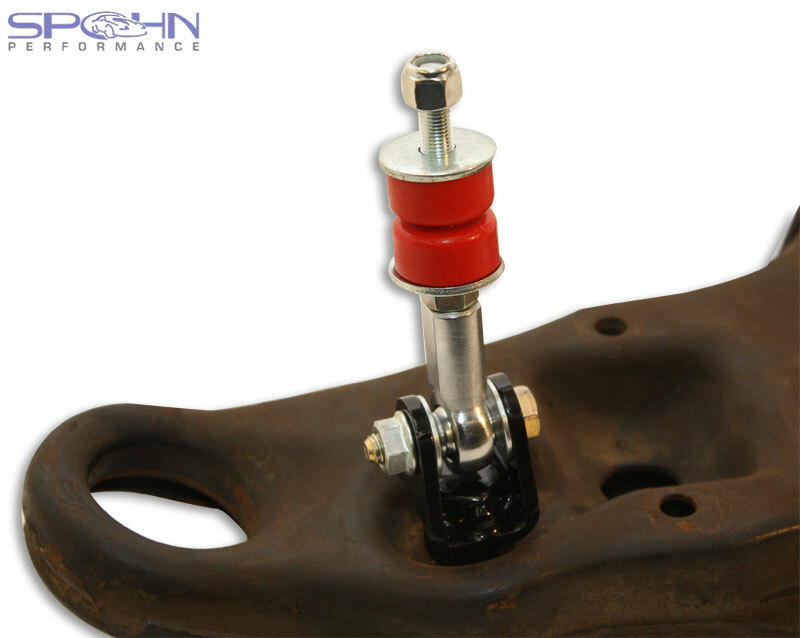 Our spherical front sway bar end links connect to your factory front lower a-arms with a chrome plated self-lubricating Teflon® lined chrome moly spherical joint that provides a bind-free connection for maximum handling performance. 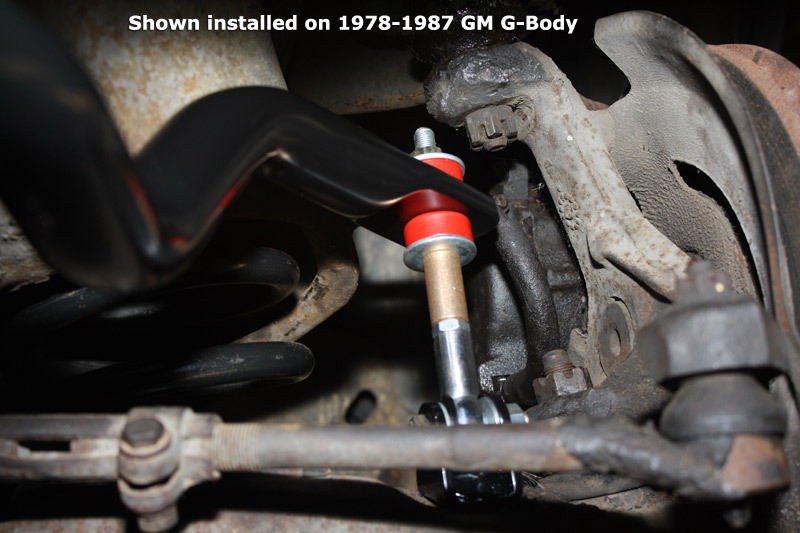 Fitment Notes: Fits 1993-2002 GM F-Body with factory front lower a-arms. 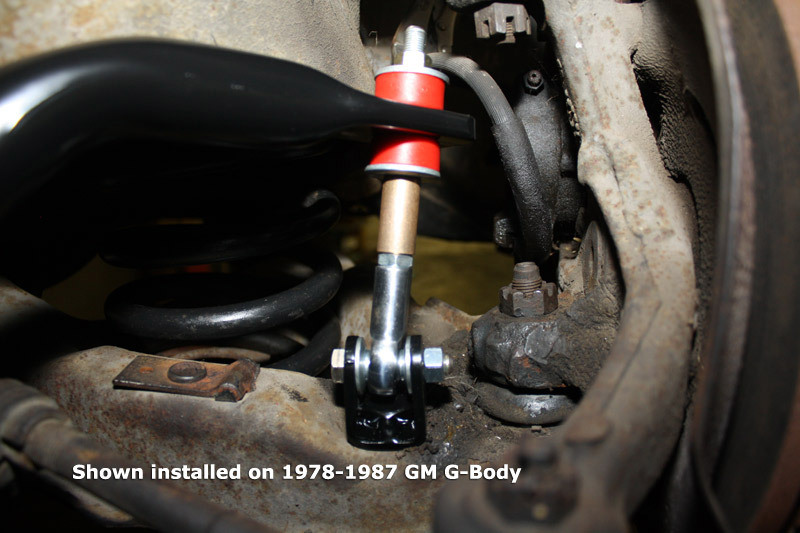 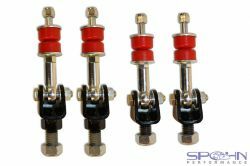 1993-2002 GM F-Body cars with aftermarket tubular front lower a-arms need to use our Part# SEL-F4K2 spherical end links kit.